Are you the victim of a fashion faux pas? Do you have more holiday sweaters than you can count? Worse yet, has your collection grown so big simply because you can’t bring yourself to toss all the old sweaters out?… like from the 80’s??? If so, then listen up… You’re in luck. This is the year of “the ugly sweater”! You could win big this holiday season! Well, you might just win the biggest smiles ever from your friends and loved ones, but you could also win big prizes. 3. Think with a twist. …more details can be found in the The Ugly Christmas Sweater Party Guide. Oh, and what should you do if you receive an ugly sweater as a gift this year? Well, my advice to you is to promptly regift it! Ah hem… these are from the web, not from my closet! First, check out these Christmas sweater tips. 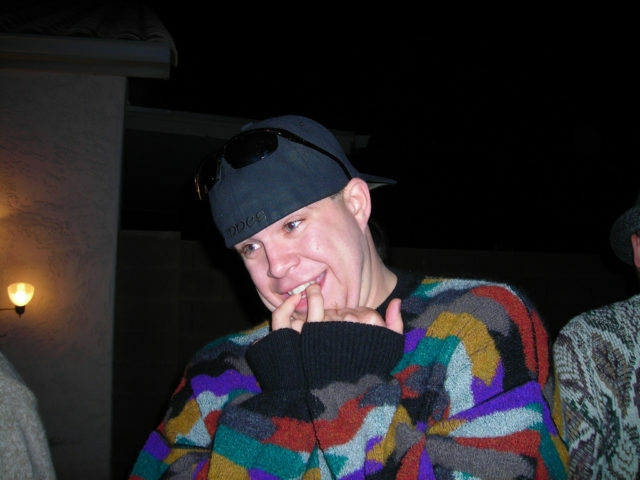 UPDATE #1: Check out some new Ugly Sweater candidates. You can actually buy these online. UPDATE #2: And don’t miss these ugly sweater ideas for men! 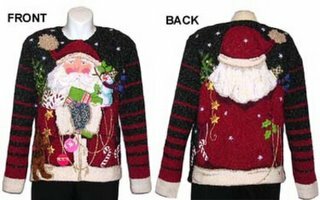 UPDATE #3: Finally!… Ugly sweaters on Amazon now.